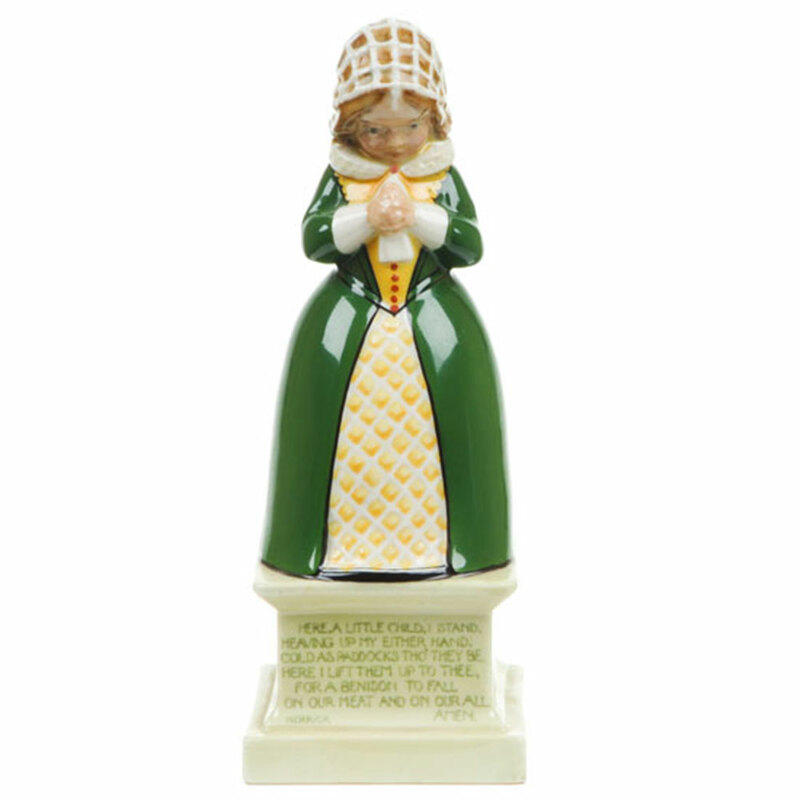 In National Poetry Month, we are featuring some rare Royal Doulton figures with verses from famous children’s poems. Poetry for children captures the essence of childhood, the fun, the laughter and the tears. Poetry can ignite a passion for the spoken and written word as young readers explore their imaginations and the world around them. The Little Land in our Fantastique exhibit evokes the power of poetry to give us experiences which are out of this world. 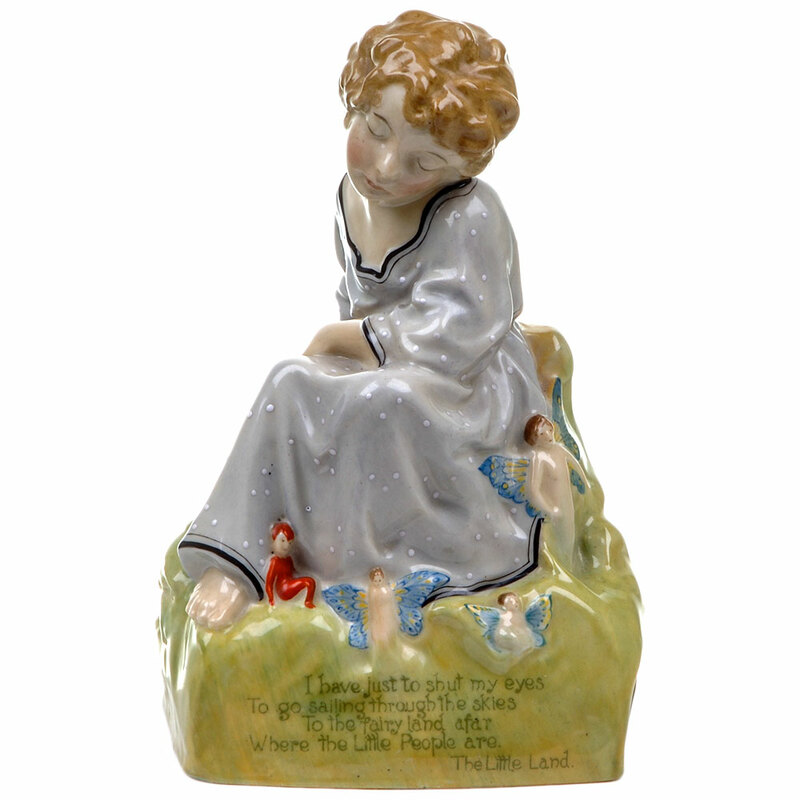 Child studies were among the first Royal Doulton figures and four have lines from popular children’s poems inscribed on the bases. The Little Land written by the Scottish author Robert Louis Stevenson was first published in 1885. 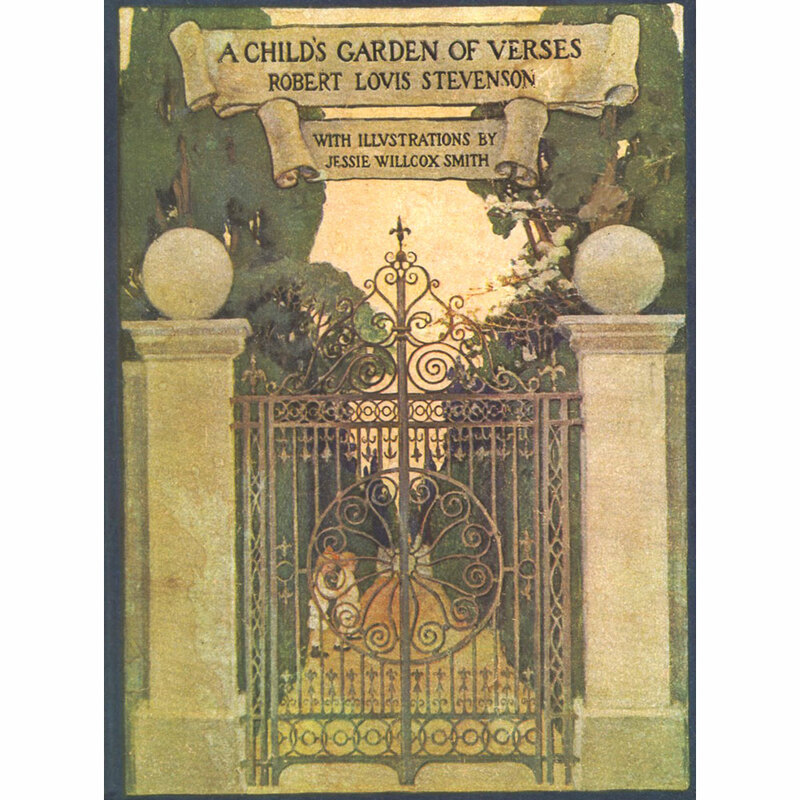 His collection of poems concerns childhood, illness, play and solitude and was reprinted many times under the title A Child’s Garden of Verses. 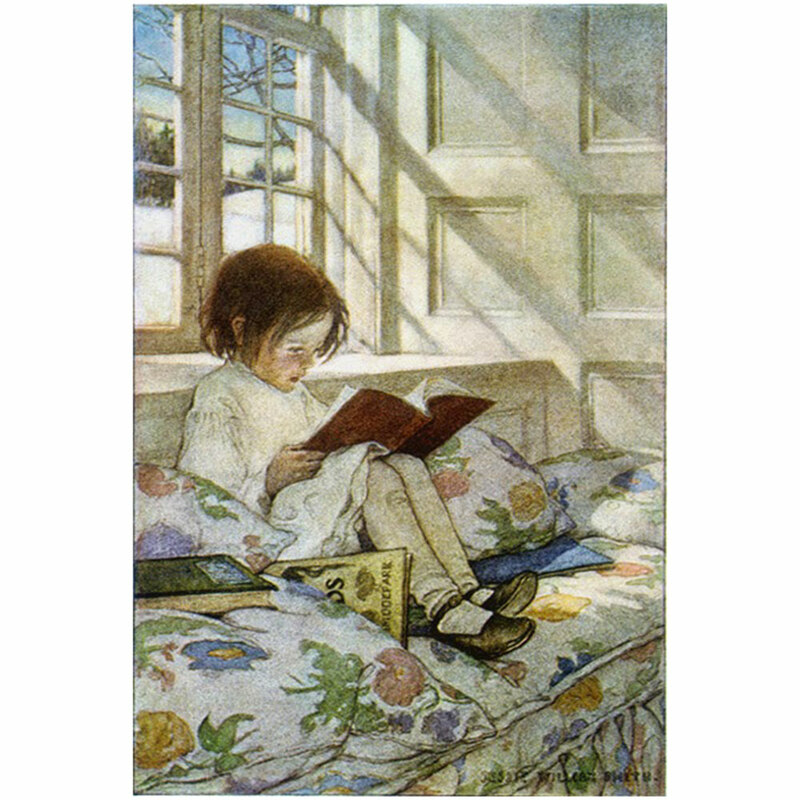 One of the most notable illustrated versions was the 1905 edition by the American illustrator Jessie Willcox Smith. 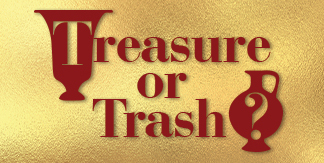 Stevenson is best known for his classic novels Treasure Island and the Strange Case of Dr. Jekyll and Mr. Hyde. His collection of poetry reflects his invalid childhood and was written in his thirties while recuperating from an illness which only allowed him to write simple verse. Stevenson studied law at Edinburgh University but never practiced. Instead, he trained himself to be a writer and his first essays were published in several periodicals. He was a constant traveler for most of his adult life, often in search of climates to ease his poor health. Stevenson’s vision of Fairyland was described in detail in The Little Land. 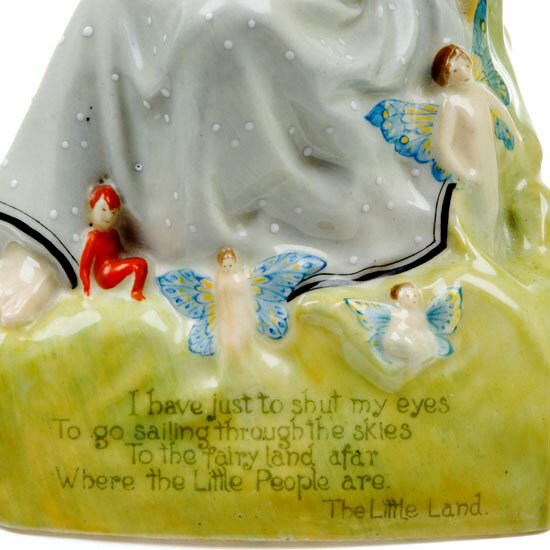 Lines from his poem are inscribed on a Royal Doulton figure with the same name, featuring tiny fairies. 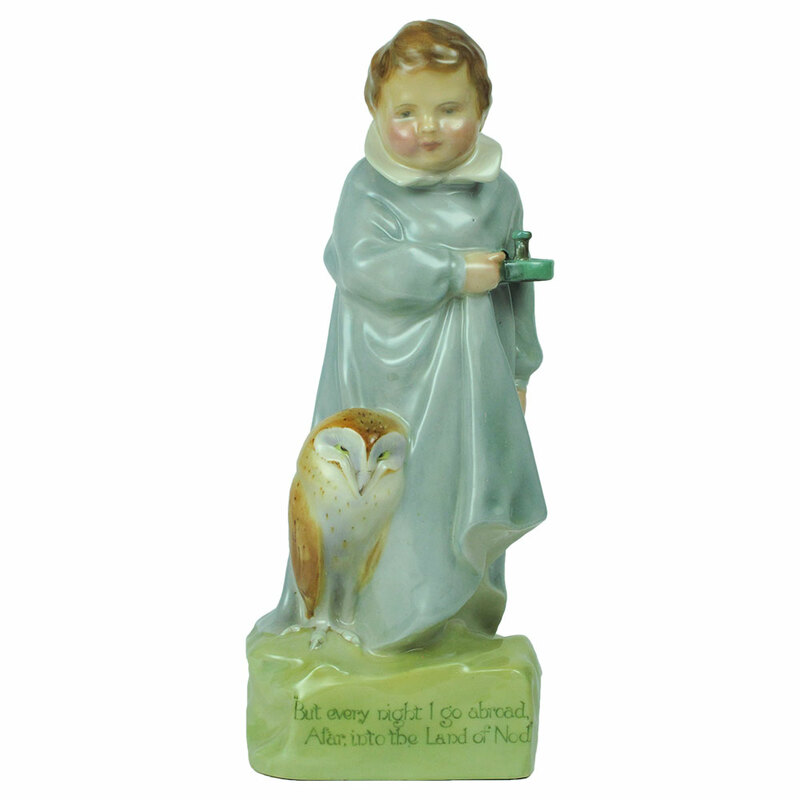 Harry Tittensor’s figure was launched in 1916 along with another inspired by Stevenson’s The Land of Nod, depicting a child in his nightgown accompanied by an owl. Robert Herrick trained as a goldsmith and jeweler, but he graduated from Cambridge University and then took holy orders. During his life he wrote over 2,500 poems, about half of which appear in his first collection published in 1648. In his writing, he dealt with English country life and its seasons, village customs, themes from classical literature and complimentary poems to various friends. Herrick’s over-riding message is that life is short, the world is beautiful, love is splendid, and we must use the short time we have to make the most of it. His warm and exuberant poems were not widely appreciated during his life-time but his works were rediscovered in the early nineteenth century and have been regularly re-printed ever since. 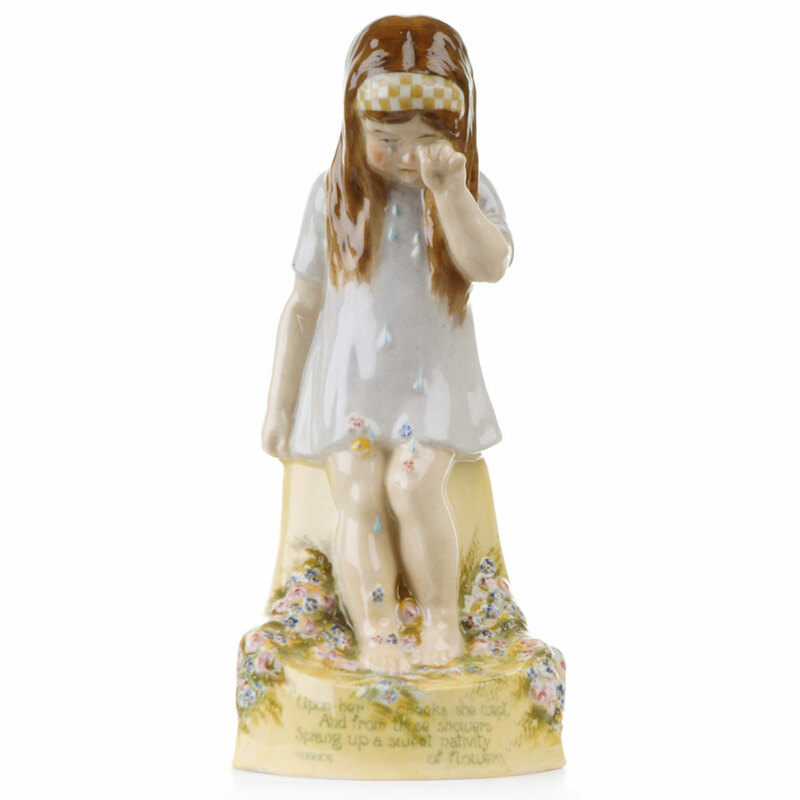 Herrick’s poem Upon Electra’s Tears was visualized by the sculptor Laurence Perugini for Royal Doulton in 1916. The fallen tears of the crying girl can be seen clearly on her dress, transforming into flowers. Perugini’s other child study depicts a little girl saying grace in a costume from Herrick’s era. Sprang up a sweet nativity of flowers. For another tribute to National Poetry Month see our story Arion’s Song.